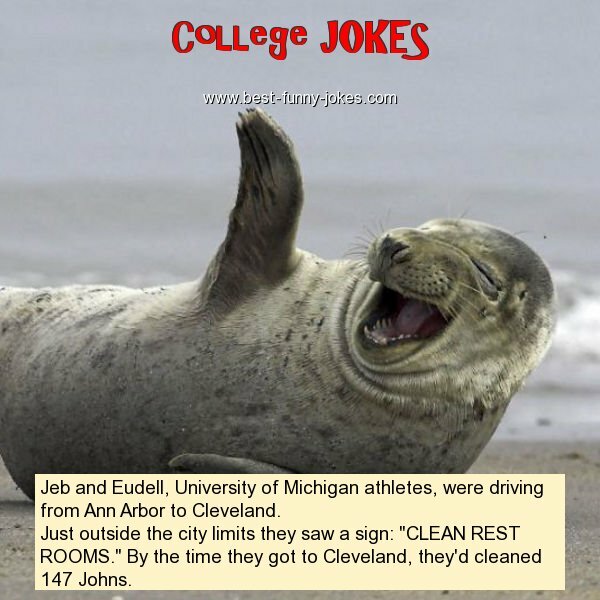 Jeb and Eudell, University of Michigan athletes, were driving from Ann Arbor to Cleveland. Just outside the city limits they saw a sign: "CLEAN REST ROOMS." By the time they got to Cleveland, they'd cleaned 147 Johns.